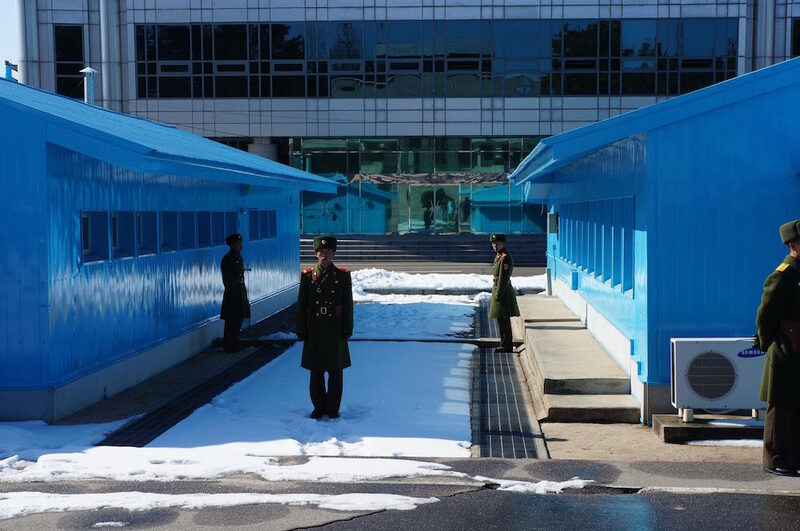 The Demilitarized Zone is home to the world’s tensest, and most heavily armed border. The establishment of the DMZ marked the end of the Korean War, with the cease fire armistice being signed on June 27th of 1953. The 154 mile long zone spans the entire width of the peninsula, the crooked line is now a snapshot of the frontlines as they were when the fighting stopped. Each force was required to fall back 2,200 yards on the day of the truce, creating a 2.5 mile wide zone between the militaries that acts as a buffer. 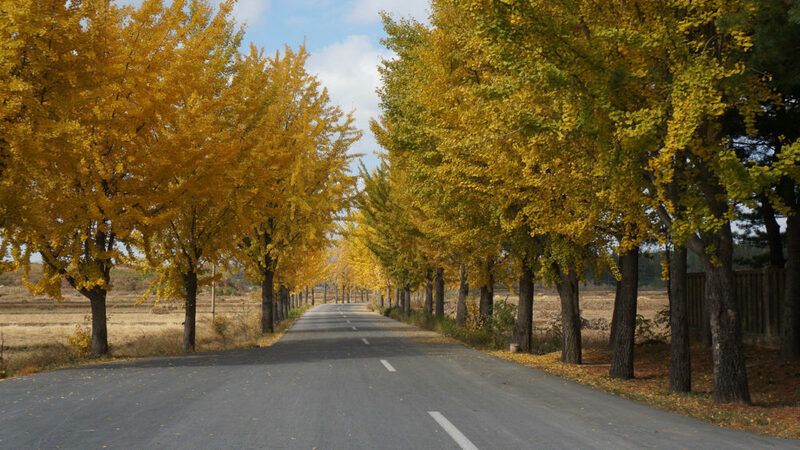 The armistice was signed in a village on the Northern side called Panmunjom. 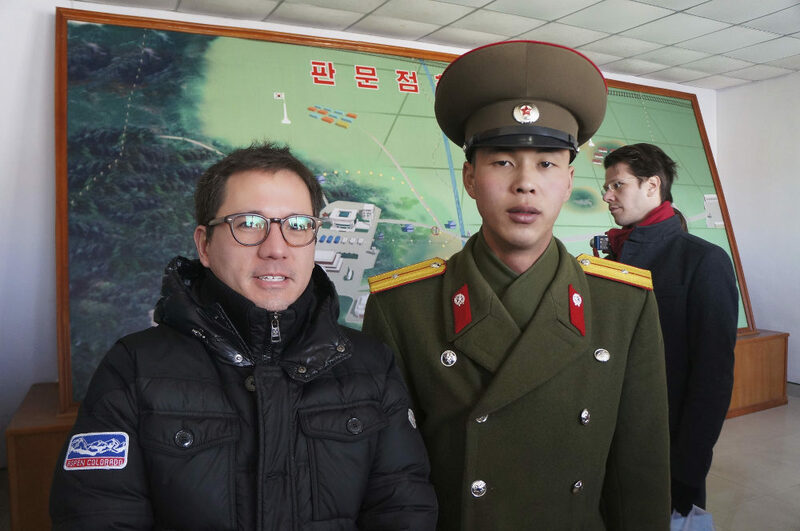 The signing was scheduled to be held in an unassuming tent, this was seen as an act of contempt by the North Koreans, who promptly built a more suitable building. This building is now known as the Peace Museum and the original armistice is still on display within it. 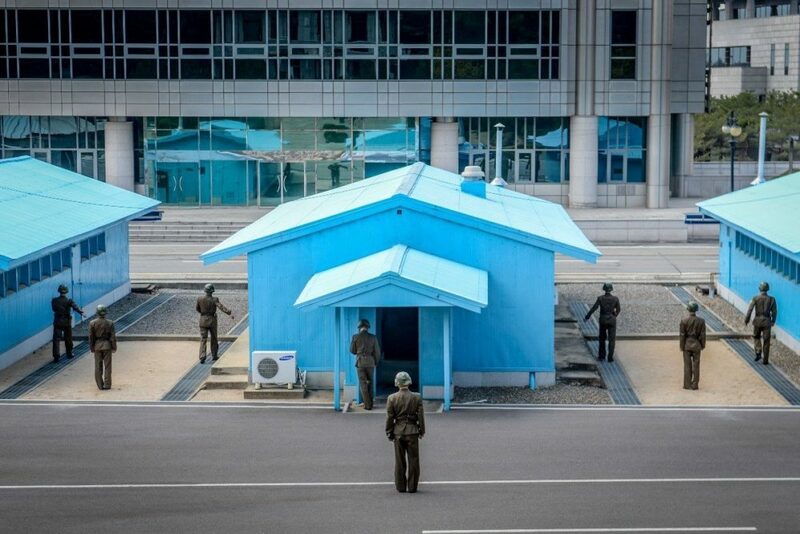 Contained within the 2.5 mile wide DMZ is the Military Demarcation Line, the technical term for the border. There is only one place where both sides of the peninsula meet among this 154 mile long border, and that is the Joint Security Area. All negotiations occur at the JSA, which has multiple regulations. No more than 35 personnel from each side are allowed within the JSA at any given moment and no firearms are allowed. 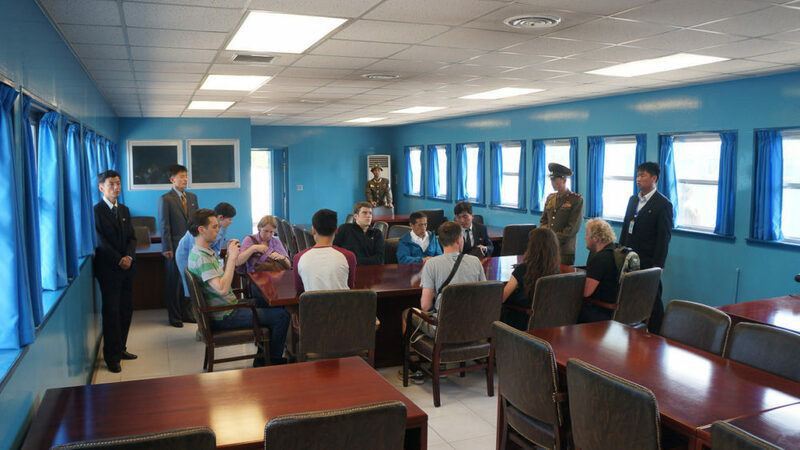 The JSA has since turned into a tourist destination for both sides, this is the only place in North Korea where you can legally take a photo with a soldier, you could possibly even get a group photo with them. The JSA is also home to Conference Row, also known as the Blue Houses. 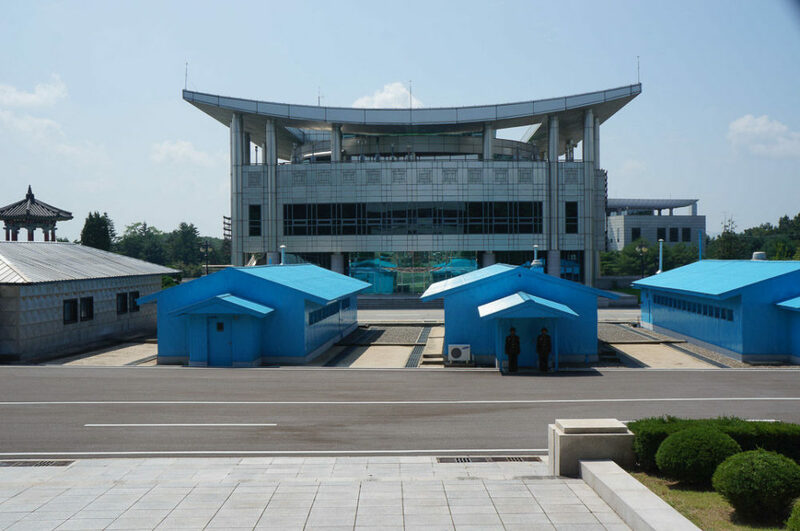 These structures often accommodate negotiations, and are a way for tourists from South Korea to claim they have stepped into North Korea, as they have been built with one half on each side of the Military Demarcation Line. Near the JSA, lies the only only two villages that remain within the DMZ. 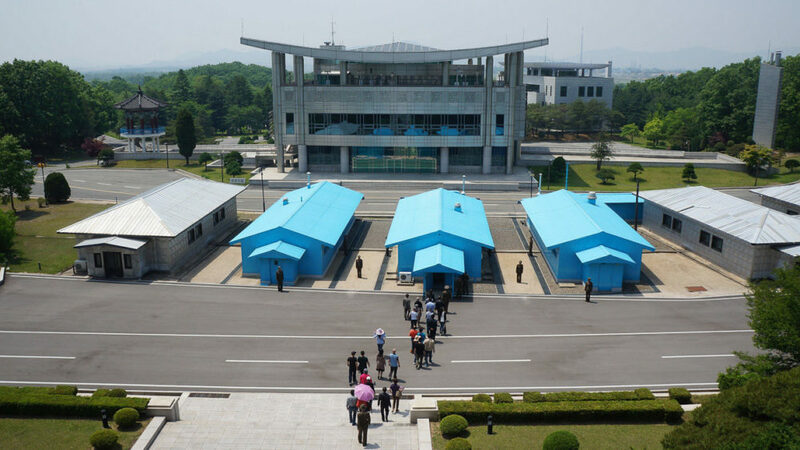 The South Korean Daeseong-dong, and the North Korean Kijong-dong, also known as Propaganda Village. The residents of these villages must endure multiple checkpoints to access their homes, as well as all tourists to the JSA. Although major fighting has ceased since the DMZ was formed, many events have developed. A massive mobilization of the United Nation’s military took place as a show of force, in response to murders committed because of a tree cutting. The current president of South Korea, Moon Jae In, took place in this show of force operation. In addition to that, propaganda and music are blasted across the border as a form of agitation and to encourage defections. Now the DMZ is hosting a pseudo-nature reserve, since human operations within the lines are extremely limited. This has enabled many endangered species the chance to repopulate the area and rare plants are beginning to sprout. The application to officially designate the DMZ as a UNESCO Biosphere Reserve is currently on hold, but environmental activists remain hopeful for a green and peaceful future to the zone.